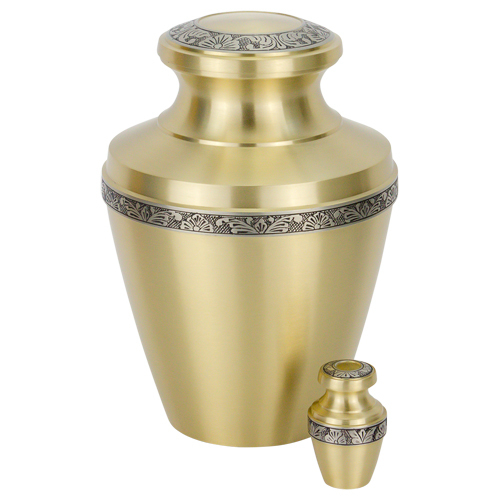 An adult sized urn, the Odessa Brass Urn in Gold has classic styling with is brushed brass finish, vase shape, and attractive engraved band adding a touch of distinction to the middle and lid of the urn. 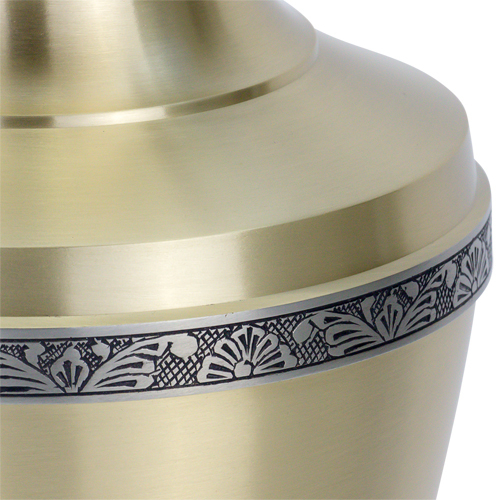 This brass urn is very appropriate for engraving with many families choosing to add text and artwork to make it personal. 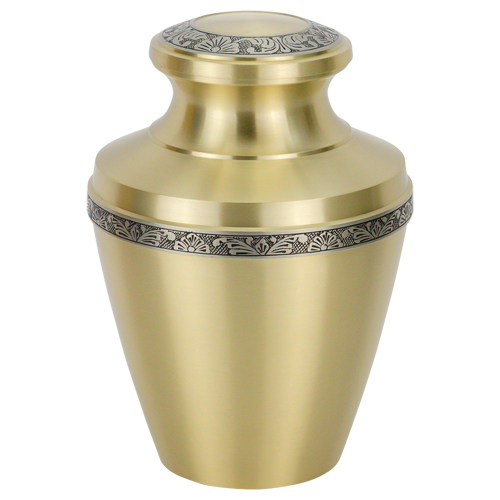 Creating a memorial to a loved one in this manner can provide comfort and closure. 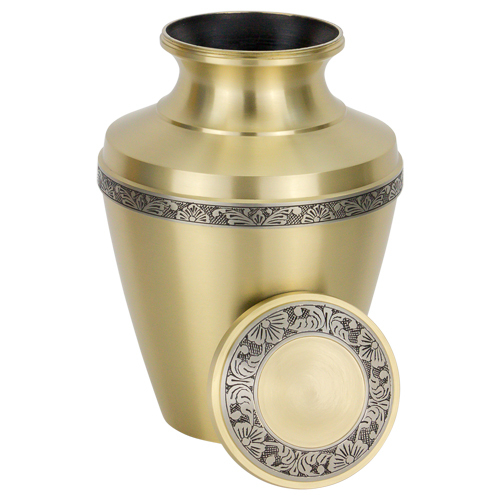 The Odessa Brass Urn - Gold is constructed of solid brass -- known for its durability -- with a threaded lid for securing the ashes inside. 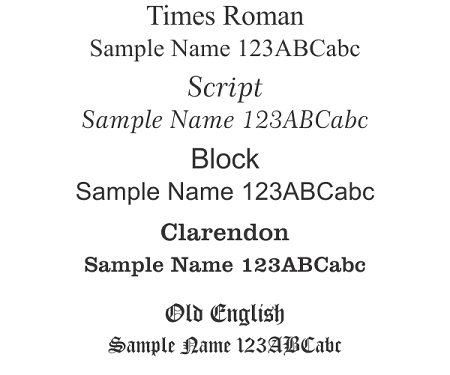 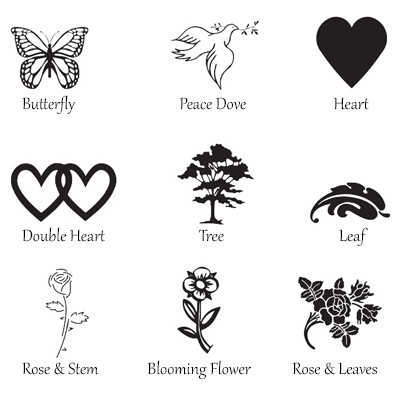 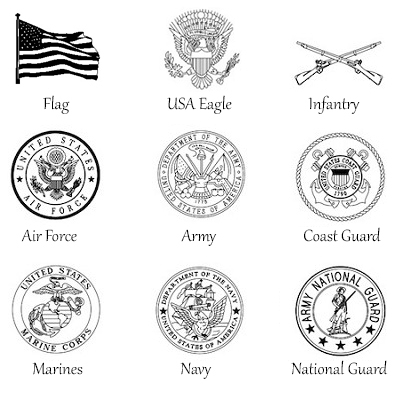 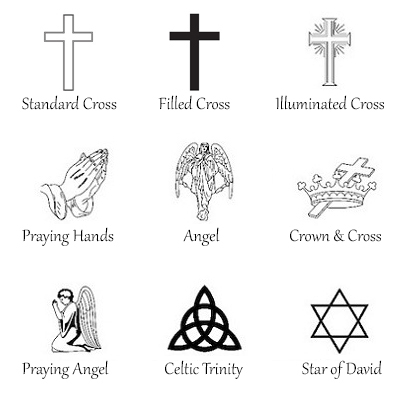 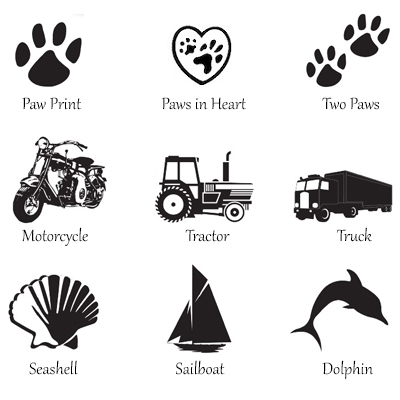 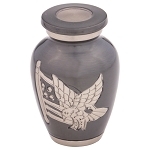 Personalization options include direct engraving of up to three lines of text (23 characters or less per line) and additional artwork choices, which can reflect the personality of a loved one. 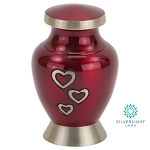 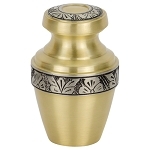 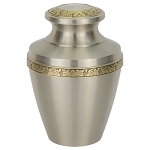 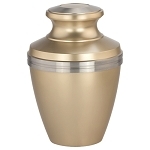 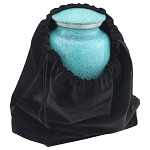 The Odessa Brass Urn - Gold is a classic vase-shaped cremation urn in brushed gold with an accent band in pewter.